Hello All, and welcome once again to Tea Cup Tuesday! Today I am sharing a cup I purchased on one of my trips to England. I found it near Buckingham Palace in a little gift shop. 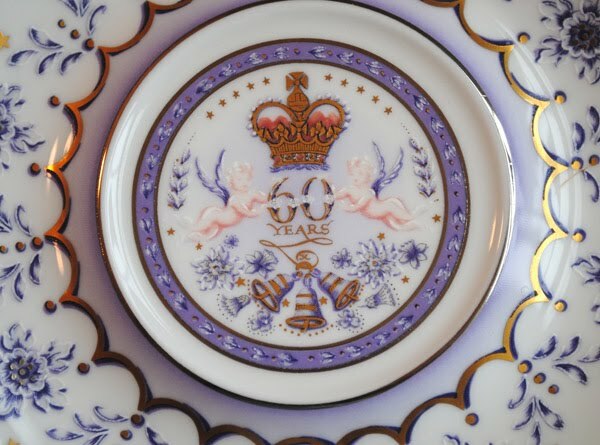 This cup celebrates the Diamond Wedding anniversary of H.M. The Queen and the Duke of Edinburgh on November 20th 2007. 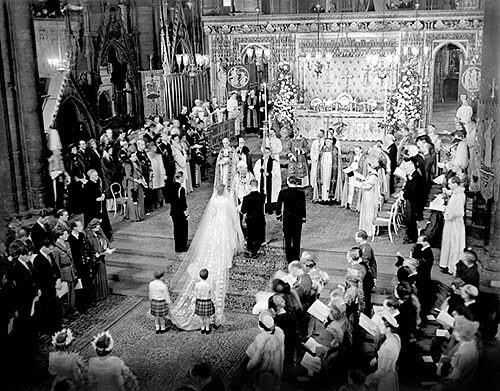 It was inspired by the Queen's wedding dress and veil. It must have been an amazing veil! 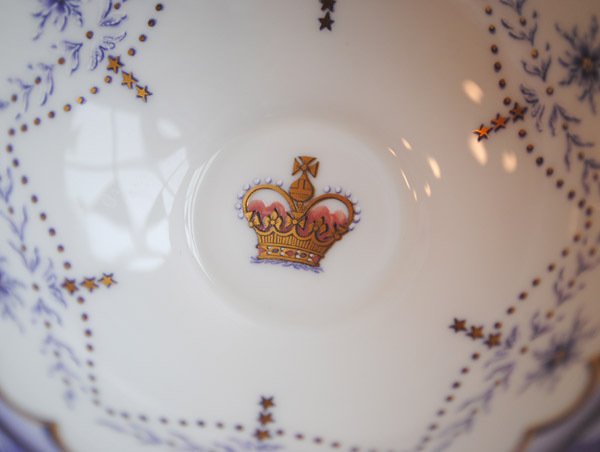 The inner cup is so gorgeous with the crown and the fine designs of sprays and leaves. I love the tiny gold stars. I do wish this photo was in color. Her dress must have been stunning. How romantic is this! Cherubs! 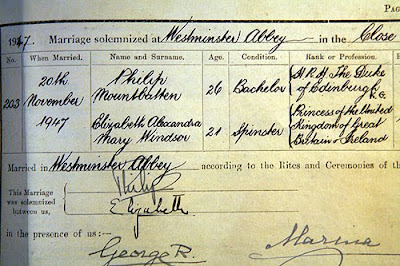 Here is a peek at their marriage certificate. Here we have a very elegant double split loop handle with a thumb rest and a spur. 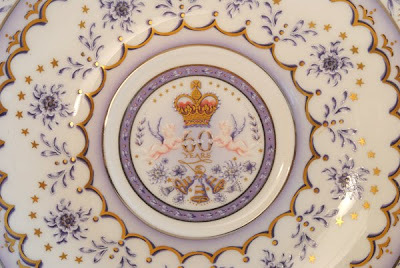 Fuller view of the plate. The details were highlighted with 22 carat gold by hand. I love drinking from this cup. It really feels wonderful in the hand and it is so beautiful that it makes tea very special indeed! At least with this cup I can pinpoint the year it was made. It was made in 2007 in Staffordshire, using traditional methods that have been used for over 250 years. 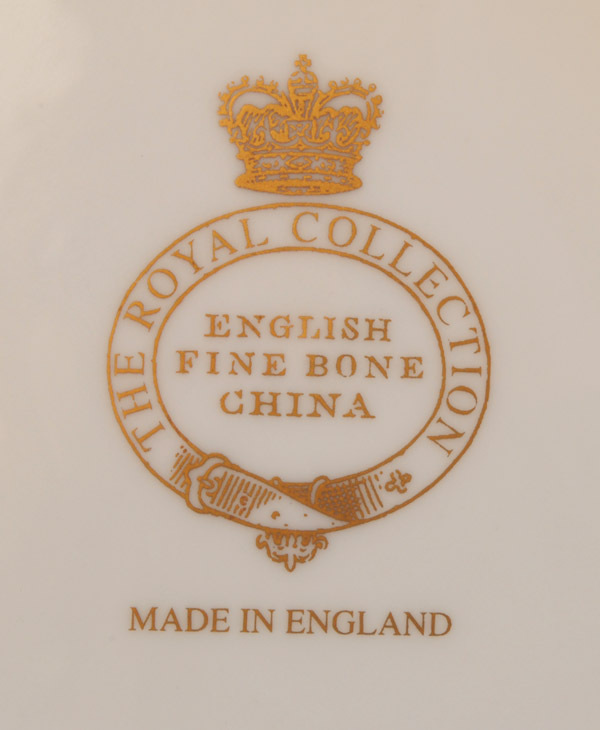 The purchase of one of these cups helps fun the Royal Collection Trust. A charity set up to take care the paintings and works of art the royals have collected over the past 500 years. Which is purported to be a magnificent collection. Thank you so much for coming by for a visit today. 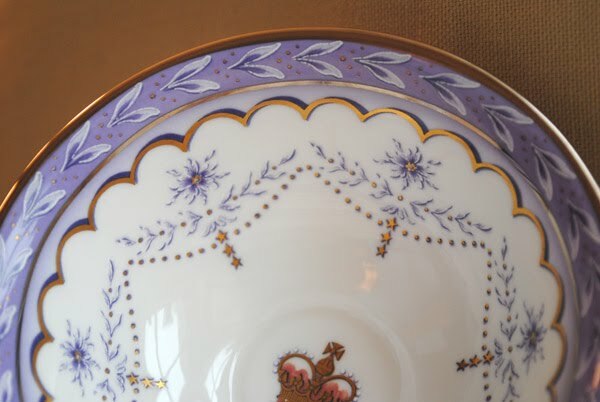 If you would like to show us one of your tea cups then please make your post and then come back and fill in the two blanks below in Mr.Linky and you will automatically be added to the list. Then we can all come and see your beautiful cup. Tell us about your cup. 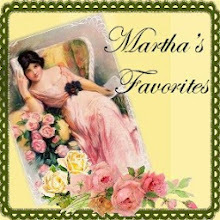 And don't forget to stop in to see Martha at Martha's Favorites. Her and I really enjoy hosting tea cup Tuesday. We appreciate each and everyone of you! That is a totally gorgeous teacup, Terri. 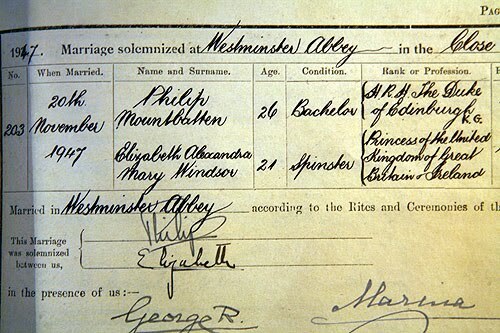 And how neat to see a photo of the Queen and her Prince on their wedding day and to view their marriage certificate. Wow...a slice of history in that teacup. I would love to visit England one day. Perhaps I'll get there...but I absolutely detest flying, and I certainly don't relish the thought of flying across an ocean. Beautiful cup! 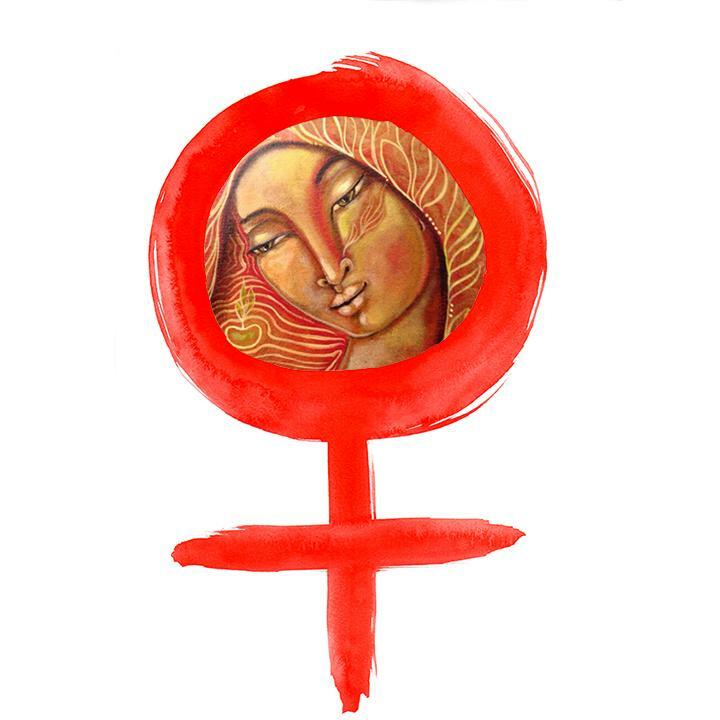 I can't decided what I like about it the most: .. the wonderful color, the cherubs, the great handle!!! What a great treasure of your trip! That is gorgeous! And I always have loved the royals. Very fun and interesting. Terri, that's an incredible cup and saucer! What a stunning design too...so sweet. Thanks so much for such a delightful example today! your photos are wonderful! Thank you for being a wonderful hostess. I was horrified to see that I did not use your name. Please accept my apologies, Terri. That teacup has my head swimming. Just beautiful! You really know your teacups by the way you describe them. I don't know one handle from another. Hopefully next week I can join the party again. It's so dark here this week with the rain the photos wouldn't turn out as well as I would like. That cup has an amazing handle! I think I would be terrified to even own it! Lovely! Thank You Terri! What a gorgeous teacup and saucer! This was such a lovely post! I enjoyed it so much. thank you for sharing with us. Wow...Beautiful post..what a fabulous tribute..dazzling pictures and such history!! Wow...wonderful Terri! Beautiful!! What an exquisite tea cup and saucer. I too wish that the Queen's dress were shown in color. I did just find this quote about her gown: The richly embroidered white satin wedding dress shimmered with her every movement. Softly spaced throughout the dress were garlands of pearl orange blossom, syringa, jasmine and White Rose of York. These were skilfully combined with flowing lines of wheat ears, the symbol of fertility, and worked in pearl and diamante. I will keep looking for a color photo. Can your cup and saucer still be purchased? Hello Terri :) That is such a lovely cup; love the design and the pretty color. Yes, it's too bad we cannot see the picture of her in color to really see the beauty of her gorgeous wedding dress. Hope you have a wonderful week, and wishing you a Happy Tea Tuesday! What an elegant teacup and saucer! The details are stunning and I love the color! 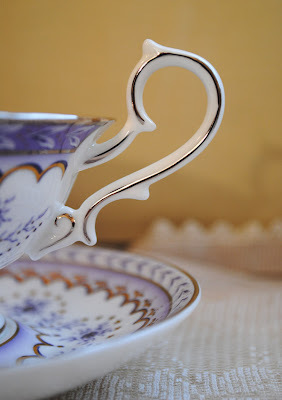 Hi Terri - What a gorgeous teacup...so dainty and sweet. I love the color and how dainty the handle is. A teacup fit for a queen! What an exquisite tea cup. It has such lovely colors and the handle and gold trim is beautiful. Thanks for also including the photos of the royal wedding. Absolutely GORGEOUS!!! And I love the way you added bits of history of the queen in your story today. 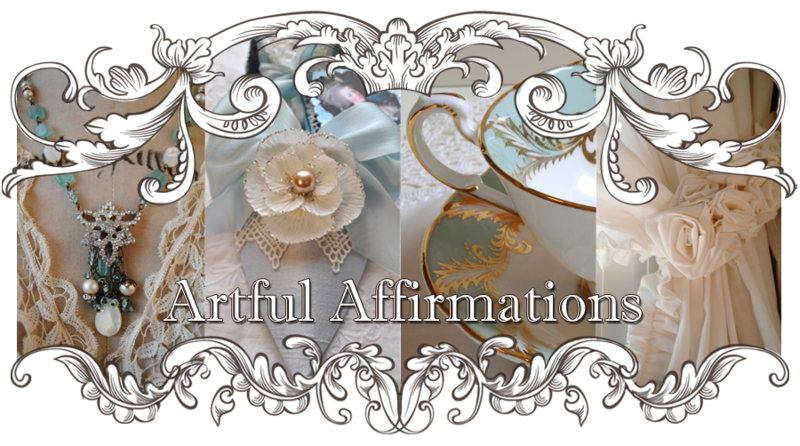 Terri, this is such a beautiful teacup. Never see one like this and truly nostalgic.. wish I could fine one like yours.. thanks for sharing and have a great day! Oh, this is just EXQUISITE! Truly one of the most beautiful teacups I've ever seen! 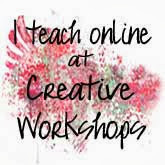 I loved the photos and info you included with your post, Terri--wonderful! Your Tea Cup today is really special ,beautiful and lovely! 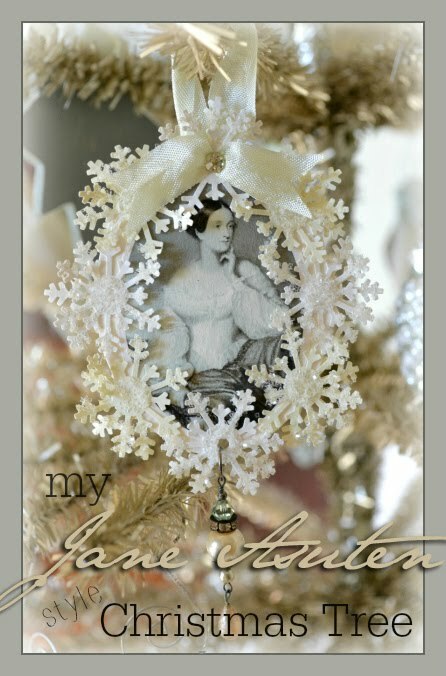 simply stunning I love it so delicate and beautiful! Wow! What a handsome teacup, Terri! 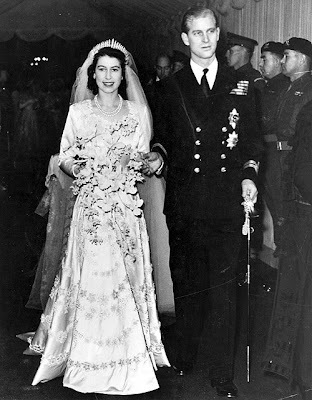 A wonderful photo of our Queen and her Prince on their wedding day too! I still cannot get over the resemblance between the Queen and my Mum in their younger days! Wonderful treasure is the teacup. Thanks for sharing. Happy to join in one more taking in of life's pleasures. 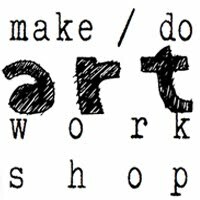 I goofed up with the blog link. Is there any way to delete the previous one by Peregrine Blue? Thanks. Another beautiful teacup! I really love the stars on the cup and the dress...how lovely it would be to see in color! That is the most amazing and exquisite tea cup I think I have ever seen. The colors, the handle..I am so glad you use it. We should always use the beautiful things we have and not just let them sit, right? What an elegant and gorgeous tea cup. How lucky you are to have it! 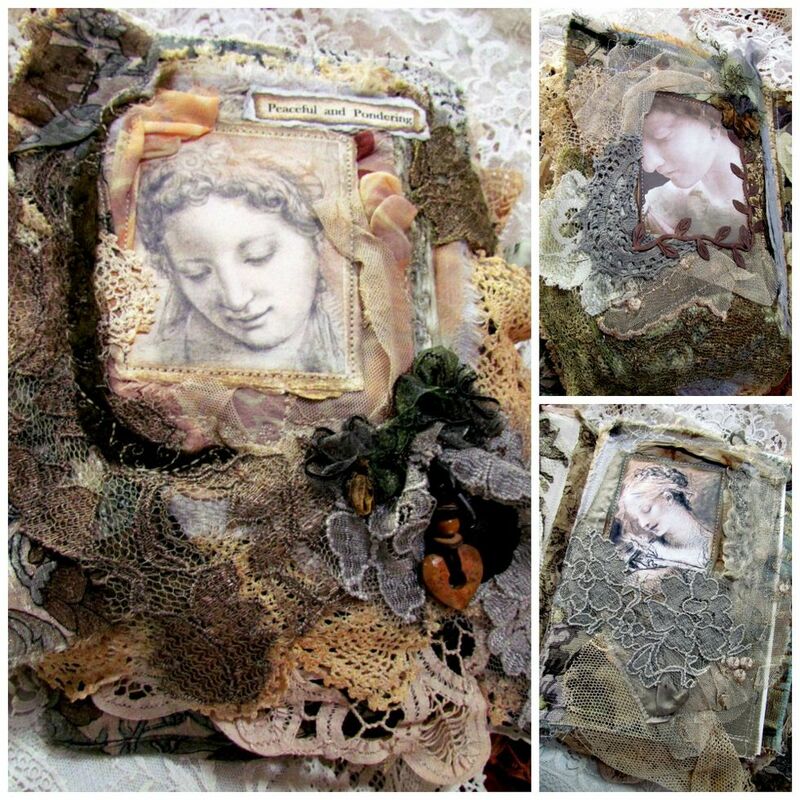 Thx, Terri, for visiting & chatting ~ so pleased you EnJoyed the visit!.. 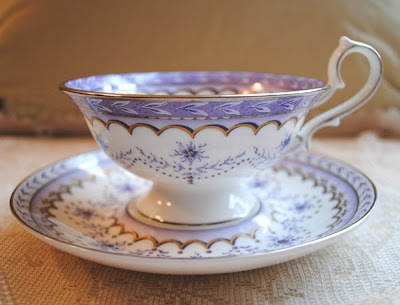 As far as I am concerned, this is absolutely the most beautiful teacup ( and you have many beautiful teacups!) I have seen. Most definitely worthy of celebrating a Royal Anniversary. I think this Queen and her handsome husband have lived thru the last century and on into this one showing the true mettle of royalty~ the history you presented in this is worth noting. What a beautiful teacup! I love that it has it's own history. It's interesting that it's an anniversary piece and that you have the pictures and the marriage certificate to go with it. Thanks for sharing! 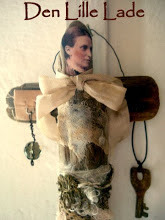 The info on our beloved Queen Elizabeth and her love is well done....thank you. 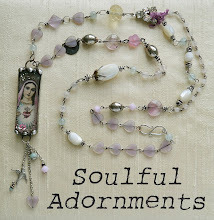 This is very special...and so pretty. How lucky you are to own it Terri. I can't believe they listed the Queen as spinster... Holy moly. Love your cup.. It's so sweet and attached to memory, which always makes things better. What a beautiful cup! Love the historical details you've shared about the Queen and her Prince as well. I'm looking forward to tea again this week. WOW! This is a spectacular teacup and I really enjoyed seeing the Queen's wedding photos, too!